The Verbraucherzentrale (consumers’ association) will be offering individual energy saving consultations in the Rathaus in Oberursel on Thursday, 20th December 2018. The Verbraucherzentrale (consumers’ association) will be offering individual energy saving consultations in the Rathaus in Oberursel on Thursday, 6th December 2018. The Verbraucherzentrale (consumers’ association) will be offering individual energy saving consultations in the Rathaus in Oberursel on Thursday, 18th October 2018. The Verbraucherzentrale (consumers’ association) will be offering individual energy saving consultations in the Rathaus in Oberursel on Thursday, 20th September 2018. The Verbraucherzentrale (consumers’ association) will be offering individual energy saving consultations in the Rathaus in Oberursel on Thursday, 6th September 2018. The Verbraucherzentrale (consumers’ association) will be offering individual energy saving consultations in the Rathaus in Oberursel on Thursday, 16th August 2018. The Verbraucherzentrale (consumers’ association) will be offering individual energy saving consultations in the Rathaus in Oberursel on Thursday, 2nd August 2018. The Verbraucherzentrale (consumers’ association) will be offering individual energy saving consultations in the Rathaus in Oberursel on Thursday, 19th July 2018. 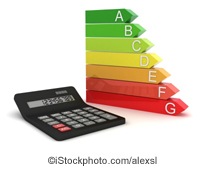 The Verbraucherzentrale (consumers’ association) will be offering individual energy saving consultations in the Rathaus in Oberursel on Thursday, 21st June 2018. The Verbraucherzentrale (consumers’ association) will be offering individual energy saving consultations in the Rathaus in Oberursel on Thursday, 17th May 2018.